Hello! It's Five Take time of the week again, in case you're not familiar with the concept, myself and 4 other pus size bloggers, Rebecca, Nicole, Claire and Gina take a different theme each week and do our own interpretation. This week we're doing animal print. A couple of weeks ago I spoke of my minor *ahem* obsession with bird print, well if that's minor, my obsession with leopard print is bordering on manic. I have leopard print clothes, accessories shoes and bags, if it's made in leopard print, I probably have it. 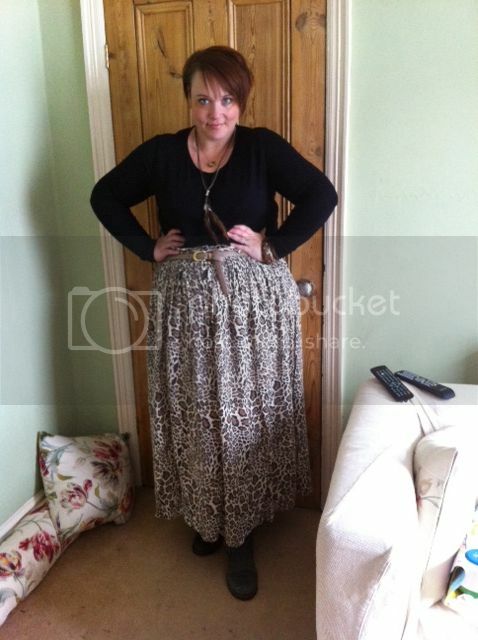 For this weeks challenge I decided to wear my newest leopard print acquisition for this weeks challenge, a fab maxi skirt I picked up from Primark for just £10! 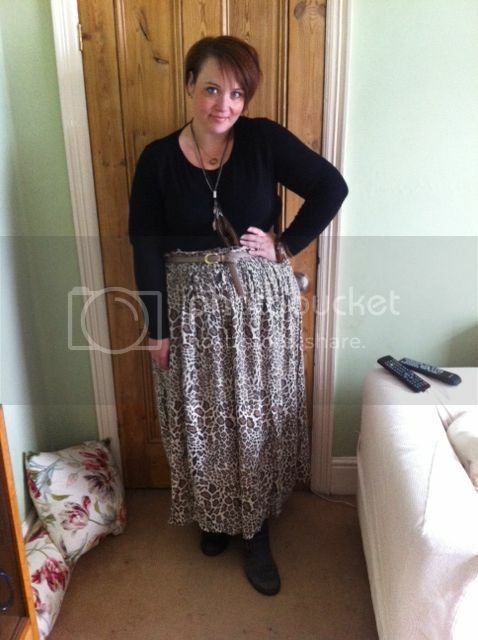 When I went to London last week I wore this outfit twice because it was so comfortable, the maxi came with a belt but as per usual it didn't fit, but I prefer my trusty Dorothy Perkins one anyway. I love how I can wear this skirt with my boots for quite a tough look but I know I could equally make it look a bit more boho with sandals, a more floaty top, maybe in a cream and some pretty accessories. 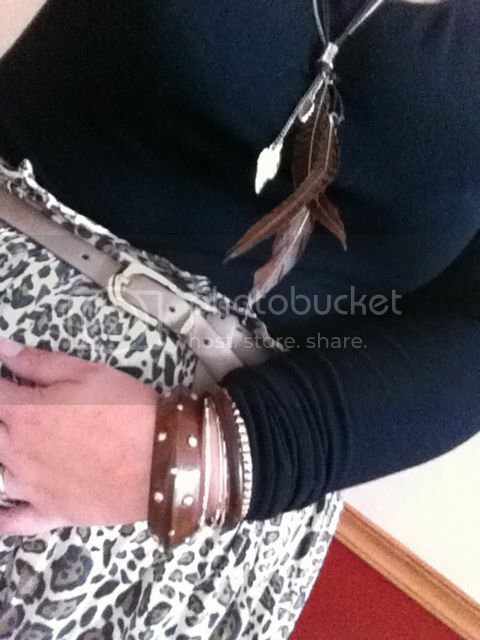 My accessories for this outfit had a bit more of a tribal feeling with the wooden bangles and feather necklace. Ooh, might have to keep a lookout for this next time I'm near a Primark; so cute!